My deep love and caring for animals were obvious since childhood, propelling me to a life filled with assisting animals. At times this may be someone's lost or sick pet, an injured animal, or wildlife in need of rehabilitation or habitat preservation. My path was paved and then Reiki found me. I enrolled in a First Degree class shortly after receiving my first Reiki session in 1999. The benefits of this profound healing system became evident through giving daily Reiki sessions to myself and my pets. It was a natural progression to begin giving Reiki to other people’s animals and their humans. Recognizing the value of sharing Reiki in a larger way, I continued my training, becoming a Certified Reiki Master-Teacher in 2005. Pick up after animals: Scoop cat litter / Dog waste in yard / Potty accidents in house, etc. Give meds/supplements in the same order you do, etc. It is important to find an experienced, compassionate qualified pet sitter with references who is both a good fit for your animal and YOU! I look forward to caring for your animals in the personal way you would yourself, following all the rules you already have set in place for your animals. My volunteer Reiki Healing and socialization work at Pima Paws For Life and the Humane Society of Southern Arizona has provided extensive experience supporting animals before, during, and after adoption with a variety of physical, emotional, and behavioral issues. Understanding the shelter environment and providing continuity of care after adoption further contributes to successful integration into new family and home. Shelter animals have generally become accustomed to humans coming and going throughout the day. Newly adopted animals may not be as comfortable being left alone for long periods of time. My calming demeanor de-stresses even the most fearful animals. For deeper support, relaxing Mini Reiki Sessions are available upon request. Contact 520-882-0292 or Andra@AndraEwton.com for fees. The perfect choice for multiple animals, time-consuming care requirements, or when more quality time and/or reassurance is needed. Reserve dates with Save Your Space ($25) non-refundable deposit to be applied to the balance due. *Attunements are required to channel Reiki. The Center for Advanced Energy Therapeutics. 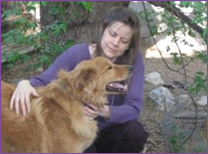 Specialties include Animal Reiki Basics Training and Reiki Basics Training for Humans. There is no one right way to teach or perform Reiki. 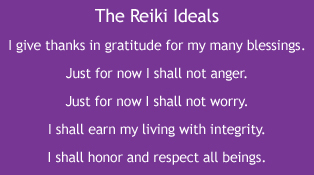 There are, however, better ways that support long-term benefits and utilization of Reiki. There is a growing concern about receiving Reiki attunements without the accompaniment of proper information and training. 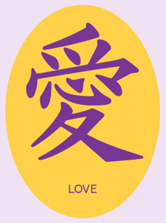 Bottom line, appropriate and necessary information must be received in order for Reiki's value to be recognized. Only when recognized is the information utilized in a purposeful manner. Classes are kept small to provide an optimum learning environment. Scheduling a get acquainted 45-minute Reiki session prior to class will maximize the learning experience. While not mandatory, those who do choose this option feel more prepared for class as they have a deeper level of understanding before the actual learning begins. Reiki Basics Training for Humans is a one-day class in keeping with the traditional approach of developing a strong self-Reiki practice and understanding before incorporating giving Reiki to others. This training is solely focused upon the student learning to use Reiki for themselves. Working on animals or other humans is not included in this training. Students are encouraged to participate in the Second Degree Reiki Intensive after a three month integration period of practicing Reiki at the First Degree. I recommend classes presented by Mega R. Mease at The Center Advanced Energy Therapeutics. 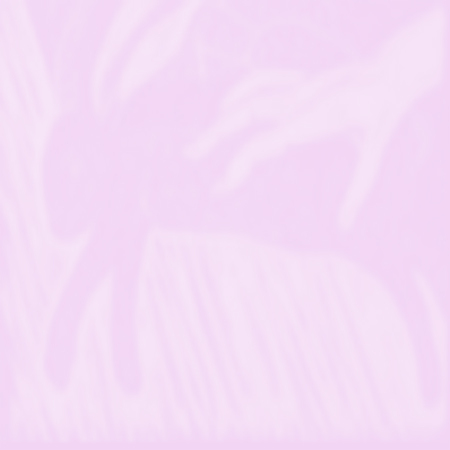 Why take Animal Reiki Basics Training? Daily Reiki sessions for animals are ideal for supporting optimum health and behavior. By receiving Animal Reiki Basics Training you will be able to support the strong foundation your animal received from the initial sessions. You will be able to channel Reiki daily at the First Degree level, which will complement the higher frequency sessions provided by Master-Teacher Andra S. Ewton. Who else can take Animal Reiki Basics Training? In addition to students without prior Reiki training who want to offer Reiki to animals, this class is ideal for people who have been attuned to Reiki but are not actively using it and want a refresher. What is the purpose of the One-Hour Private Animal Reiki Instruction? This time is set aside for Animal Reiki Basics students who wish to receive one-on-one guidance for working with the animal or animals of their choice. This is also available for people attuned to and using Reiki and would like additional suggestions for working with animals. Why would someone want to take Reiki Basics Training for Humans instead? These classes are perfect for those who are primarily interested in optimizing their own health. If also desiring to offer Reiki to animals, additional One-Hour Private Animal Reiki Instruction is an option. Why is sufficient training needed to accompany a Reiki attunement? There is no one right way to teach or perform Reiki. There are, however, better ways which support long-term benefits and utilization of Reiki. There is a growing concern about receiving Reiki attunements without the accompaniment of proper information and training. 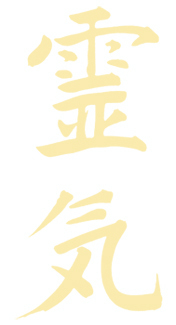 Bottom line, appropriate and necessary information must be received in order for Reiki's value to be recognized. Only when recognized is the information utilized in a purposeful manner. I offer both in-person and distance Reiki for animals and humans. Animals love it when their humans receive Reiki too. In-person sessions are conducted in the client’s home, or when permitted, in the veterinarian’s office. The fee for this service is $85. Distance sessions are given to animals anywhere in the world and are often more powerful, providing deeper results. The fee for this service is $60. The fee for this service is $110. Beginning with a series of four daily sessions for animals will greatly enhance the benefits and form a strong foundation for additional healings. The fee for this service is $215. The fee for this service is $105. You’re going to receive your session in the comfort of The Center for Advanced Energy Therapeutics in a relaxing healing room with soft lighting and soft music playing. You will remain fully clothed, lying down on your back on a comfy massage table. Most recipients opt for the eye pillow placed on their eyes for a deeper inward experience. You may also choose to be covered by a light blanket. Once you have settled into the room, I will place my hands on your body following an established series of hand positions. Sensitive and private areas will not be touched. As Reiki is not talk therapy, to promote deeper healing there is no talking during the session. At the end of your session, five minutes is set aside for integration and grounding. The fee for this service is $75. The fee for this service is $55. As with animals, distance sessions are often more powerful, providing deeper results. Setting aside ample time to relax after a session is suggested. Clients often schedule their distance sessions at bedtime so they may lie down and enjoy receiving Reiki right before going to sleep. Reiki sessions may be given as often as desired. The frequency depends upon need and circumstance. I give myself a Reiki session at least twice per day. The fee for this service is $40. *My job is to serve as a channel for Reiki healing energy and your job is to receive it. Simple! To learn more and to schedule sessions contact Andra@AndraEwton.com or 520-882-0292. Dr. Mikao Usui is credited with the rediscovery and revival of Reiki in the mid-1800s. It is not known exactly how this came about. One account states that he was on a quest to discover how Jesus healed. In the other, he was searching for how Buddha healed. Both indicate that Dr. Usui found directions in the Indian Sutras of Tibet for connecting with a higher power, but this did not give him the understanding or ability to heal. This search led Dr. Usui to one of the holy mountains in Japan, where he meditated and fasted for 21 days while following the sacred instructions. When he was about to leave, the answer was revealed to him. In what was understood to be an act of divine intervention, Dr. Usui was shown a series of symbols, how to perform healing, as well as how to pass on the ability to heal. He then founded and became the first President of the Usui Reiki Ryoho Gakkai in Japan. As every form of energy is referred to as Reiki in Japan, this particular method is known as the Usui Method of Natural Healing. According to the Usui lineage, Dr. Chujiro Hayashi was the first student attuned by Dr. Usui to the Master level. Dr. Hayashi is also recognized for starting the first Reiki clinic in Kyoto, Japan, developing the standard hand positions, the traditional three degrees, and also the procedures for initiating new students. Dr. Hayashi then initiated Mrs. Hawayo Takata, who is known for bringing Reiki to us here in the United States. She also became the first American Reiki Master. REIKI: Safe anytime, anywhere, in any situation. How does Reiki work in conjunction with conventional medicine and treatment? Reiki supports veterinary procedures and may enhance the benefits of medication and supplementation. The relaxing effects of Reiki may also help with pain and stress reduction, at times resulting in a more receptive, easier to work with patient. Quicker recovery time and less pain are some benefits that may be seen as a result of giving Reiki before, during, and after surgery, dental work, and other veterinary care. The use of the term “treatment” implies that a medical procedure is being performed or a symptom is being treated. Reiki sessions are given primarily for the purpose of stress reduction and relaxation. Therefore, it is important to distinguish the difference between medical/veterinary care and a Reiki healing session. What are the recommendations for session frequency? Then weekly/monthly sessions as maintenance support. Occasionally circumstances may warrant more than the 1-2 sessions per week after the initial 4. It is important to understand, however, that daily Reiki sessions are ideal to support optimum health, even for healthy animals. Clients often choose to register for Animal Reiki Basics Training so they may give Reiki to animals themselves. How may Reiki help if my animal is at the end of his or her life? Reiki may increase overall comfort, facilitating a sense of calm acceptance and a more peaceful transition. What are the benefits gained from distance vs. hands-on sessions? Distance sessions are often more powerful than hands-on. While physical touch may feel good physically to some animals, it may be slightly disturbing to others. Hands-on sessions require a scheduled time and setting. Distance healings are performed at various times of the day and night without a strict schedule. Some clients find the cost-effectiveness of Distance healings to be of great benefit long-term. When is distance more appropriate than hands-on? Distance sessions are more appropriate for wildlife in order to minimize stress, as being handled by humans would generally cause more agitation. Orphaned wildlife vulnerable to becoming imprinted on humans would be better supported by distance as well. An exception may be when a wild animal is tranquilized or under anesthesia for a procedure as part of their rehabilitation. What do both animals and humans often experience after receiving Reiki? What else might I notice about my animal following a session? Circumstances vary widely from animal to animal. Many animals, however, may go into a deeper, more restful sleep as a result of the session. Depending on the circumstance, the animal may also show signs of being more playful, light-hearted, and have an increase in appetite. It is important to understand that the benefits of a Reiki session may also appear long after a session has been received. Results may not always be initially visible. Is there a timeline to see results? It varies for each animal and circumstance. Reaching the core of the imbalance for deeper healing and balancing can take time. Stress reduction and improved outlook can sometimes occur sooner than physical recovery from serious injury. There may also be hidden mental/emotional issues which must be resolved first before physical recovery can take place. What happens if my pet doesn’t want to be touched during a hands-on session? An in-person Animal Reiki session may include hands-on, distance, or a combination of the two depending on the animal’s comfort level and preference. Some animals may prefer to receive Reiki only from a distance even when we are in the same room. How is an in-person Reiki session different for a human than an animal? A set pattern of hand positions is followed for hands-on sessions given to humans in person. For animals, an in-Person session may include distance, hands-on, or both. The animal shows where to place the hands, so there are no set hand positions. How is a Distance Reiki session different for a human than an animal? The only difference is that humans are asked to lie down at a specifically scheduled time to receive the session. Distance Reiki is sent to animals at any time of day or night, and animals are not asked to remain still. to support the strong foundation your animal received from the initial sessions. You will be able to channel Reiki daily at the First Degree level, which will complement the higher frequency sessions provided by Master-Teacher Andra S. Ewton. Reiki but are not actively using it and want a refresher. This time is set aside for Animal Reiki Basics students who wish to receive one-on-one guidance for working with the animal or animals of their choice. This instruction is also available for people who are already attuned to and using Reiki and would like additional suggestions for working with animals. “Andra has Oliver's endorsement! She does amazing work. I've never seen him so relaxed or "in tune"
with anyone else, other than myself! Reiki also supports animals undergoing extensive surgical procedures and chemotherapy. A series of distance Reiki sessions is suggested before, during, and after surgery. “When my dog Buddy was diagnosed with cancer this past summer, I wanted him to have the best and most complete care possible as he went through surgery and recovery. Having Andra's support and healing on a daily basis during these tough times provided an element of patient care that is typically missed by conventional veterinary medicine. Andra helped support Buddy holistically, energetically and spiritually. "Andra's animal Reiki work helped my injured cat pass in peace. She was calm, direct, and effective at helping both me and my cat through the death process. I am confident that my cat Luna was able to transition into death due to Andra's inner strength and extensive experience. I simply cannot recommend Andra strongly enough as a healer and guide during an animal's transition, and I fully intend to hire her for Reiki work when I adopt another cat in the future.” ~ Chrissy T.
I had the good fortune of the CAET Reiki Volunteer Program assigning Andra to my case while recovering in the hospital after a bad car accident. The sessions with her were so powerful that I fell asleep each time she came to work on me. Recently, I reconnected with Andra through the In-House Reiki Volunteer Program at the Center for Advanced Energy Therapeutics. She has a very nice healing room that has a wonderful healing energy. It's soft and gentle... like Andra. Each time I go there I feel that major progress is achieved in my healing. I've had Reiki from other practitioners but Andra's abilities clearly surpass previous sessions I had. At my most recent session, I felt a painful hernia (that was a result of the accident) move and shift. I've had far less pain since the session. I highly recommend anyone who is in need of healing to seek out her care. "I need to put the amazing Reiki practitioner Andra S. Ewton on a retainer. She came through for me again last night. Distance Reiki for 30 minutes meant I could finally get some sleep and relief from a particularly pesky migraine." I was driving down from the Grand Canyon with some friends one night and saw a rabbit get tumbled under the car in front of me. I stopped, got out of my car and approached the rabbit. It was still alive in the middle of the road and appeared uncomfortable. I instinctively felt compelled to put my hand on its body to calm it and instructed my friend to put his hand on the rabbit as well. It didn't take long before it died. We then picked the rabbit up and put its body on the ground under a bush to honor it and hopefully prevent other animals from meeting the same fate. Upon returning to Tucson, the experience stayed with me. I felt the desire to document the moment we shared by creating a linoleum cut, of which this logo is a part. One of the prints still hangs on my wall. During this “pre-Reiki” experience, I felt a heightened awareness of being in the moment with that rabbit, determined to assist it and alleviate its discomfort as best I could. What a blessing I find Reiki to be in amplifying the ability to support animals out of their suffering! * Reiki sessions are given for the purpose of stress reduction and relaxation. A variety of benefits may be observed as the energy moves and balances. A Reiki session is not a substitute for veterinary diagnosis or treatment. Mama Cat was a petite pastel calico who “came with the house.” Once I began sending her Reiki, she was able to be handled much sooner than most feral cats and even allowed me to pick her up to cuddle with her. One day she showed up on the porch with a barbed fish hook that had pierced through her cheek. She trusted me to bring her inside, remaining calm and still while I held her in my lap so two “strangers” could cut the metal and pull it out. 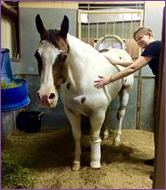 In consultation with the vet and receiving Reiki every day, she quickly made a full recovery. HC was a well-loved, long-haired orange kitty who received a Reiki session every day from his person. He lived to the ripe old age of 25½ years without having the usual degenerative organ issues cats are known to experience when they get older. His quality of life remained until it was time to set him free. Amigo was a handsome black feral cat who had become terminally ill. He usually preferred not to be handled but tolerated receiving subQ fluids. Sending Reiki daily supported him to be calm and comfortable throughout his hospice care. He passed with ease on his own when he was ready. A cat who was being fed through a feeding tube was reported to be calm and deeply relaxed when receiving distance Reiki scheduled for her feeding times. Her pre-Reiki behavior was to struggle and resist being handled. Zeke was a nine-year-old West Highland White Terrier who was referred to me after his vet had deemed him inoperable. 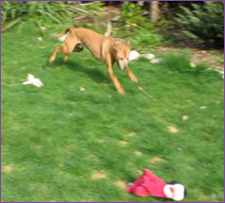 This lively, social boy had injured his knee and was moping, hiding, and uninterested in play. The vet was reluctant to add any more medications to his regimen and had given the ok to try Reiki, saying that it couldn’t hurt. By the end of his initial package of four daily Reiki sessions, Zeke was back to his playful self, running to get toys from his toybox and jumping up on the couch. Other dogs who were injured or feeling under the weather have been reported to become more playful and energetic as well. 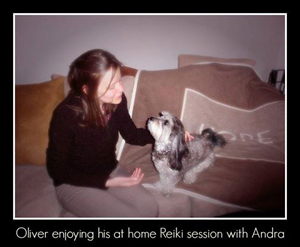 Dogs boarded at the kennel have often changed their behavior for the better when supported with Reiki. Common feedback received includes no longer barking due to stress and calmly minding their manners. Kennel staff remarked that the dogs were so calm and easygoing, unlike their pre-Reiki barking behavior. Belle, an American Staffordshire Terrier who was separated from her puppies due to food aggression, responded very well to distance Reiki in combination with holding her attention with positive distraction and praise. Using this approach, her food aggressive behavior shifted during group feeding. Sending Reiki while providing behavioral guidance has been known to support animals to be more at ease during training. Common feedback has included the animals being more focused and cooperative, with their behavior shifting more easily in a quicker timeframe. Birds, fish, tortoises, snakes and other exotics have also responded well to receiving Reiki to support a variety of circumstances. Feather-picking and other behavioral issues in birds have often been reported to shift when supported with Reiki. Quicker recovery times have frequently been observed after illness and injury as well. Sending Reiki to a herd of horses reduced territorial behavior while supporting the horses to get along more cohesively as a unit. The horses would also take turns coming up to show where to put my hands to give them hands-on Reiki. Horses who were at the lower end of the hierarchy were more easily able to come forward to receive attention without being targeted by the dominant female. Distance Reiki during training, boarding, travel, competitions, pregnancy, and labor may be supportive as well. Sending Reiki to multiple animals in a household at the same time has often supported them to get along better and deepen their connection. Shelter animals are often observed to have a greater sense of calm, be more responsive and cooperative, and experience quicker recovery times. Overall, sensitive animals have become more well-adjusted, acclimating quicker to the stress of newly being in a shelter environment. This is in contrast to their pre-Reiki behavior of being fearful, shy, and unwilling to be handled. Animals being examined or undergoing procedures at the vet or groomer have generally been known to be calmer and more cooperative when receiving Reiki. Sending distance Reiki during this time is especially supportive. An Arizona Giant Centipede had been observed entering through a back door. After distance Reiki was sent, it willingly climbed onto a duster and then into a bucket, drank water when offered, and gracefully returned to the desert. A little bird landed on the cement sidewalk after becoming stunned from flying into a window. It then flew upward in an attempt to land on a sign approximately 15 feet above the entrance to a store, but missed. It was unable to fly at that point and fell straight down onto the sidewalk. Although normally it’s not suggested to pick up wildlife, I did in this case so the bird wouldn’t inadvertently get stepped on. I held it, gave Reiki, and then brought it out back where there was a patch of suitable desert habitat. While I was beginning to think about bringing the bird home until I could get it to a wildlife rehabilitator and wondering how I was going to get it situated away from my dogs and cats, the little bird suddenly took off. It flew about the length of half a football field and landed in a tree where it began to sing. Birds have often responded well in these types of situations after receiving Reiki. A baby gecko who was accidentally stepped on and then fell several feet onto concrete made a full recovery after receiving the support of Reiki daily in combination with homeopathics, flower essences, color therapy, magnetic and far-infrared material. Injured and orphaned wildlife being cared for by wildlife rehabilitators have also been known to respond well to Reiki’s stress-reducing and relaxing effects. “Nuisance wildlife” including mice that had infested a house ended up leaving on their own after Reiki was sent to the situation daily. Distance Reiki may be used for situations involving packrats, coyotes, and other wildlife as well. Smart nutrition and supplementation are important factors in the health of all beings and support Reiki healing energy to provide the most benefit. A simple way to include nutritional support is by using Zija. I use animal communication during the Reiki session to be guided to areas of concern and discomfort for the animal. This supports the effectiveness of the Reiki session. To learn more about the benefits of animal communication, visit the Animal Communication page of Journey to Healing.